We hope you can attend ... How to get the best help - Cognitive Behavioral Therapy - Insomnia in the easiest and fastest way. If not, you can watch the broadcast here any time afterwards. If you'd like us to cover another topic in the future, please offer your suggestion in the comments below. 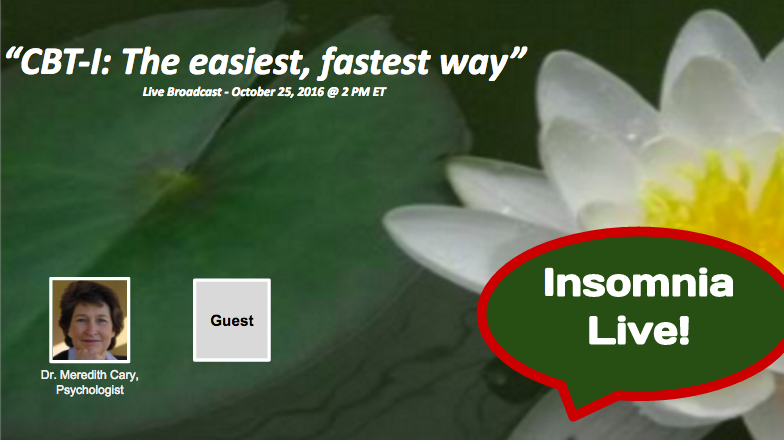 You’re invited to our first live broadcast … how to get the best help – Cognitive Behavioral Therapy – Insomnia in the easiest and fastest way. We hope you can attend and participate, however, you can watch the broadcast here afterwards also. 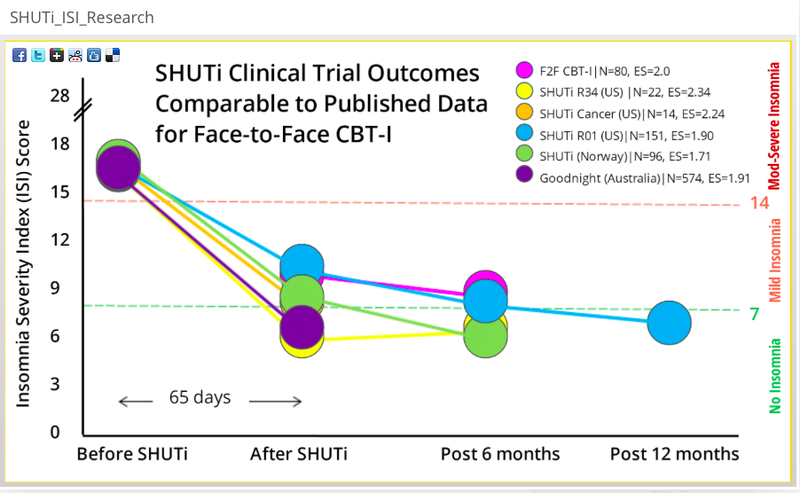 SHUTi is one of 6 CBT-I-computer based programs that was reviewed and published by Sleep Review in 2014. These programs range from completely free to about $150 per user. If you’d like Insomnia Live! to cover another topic in the future, please offer your suggestion in the comments below.